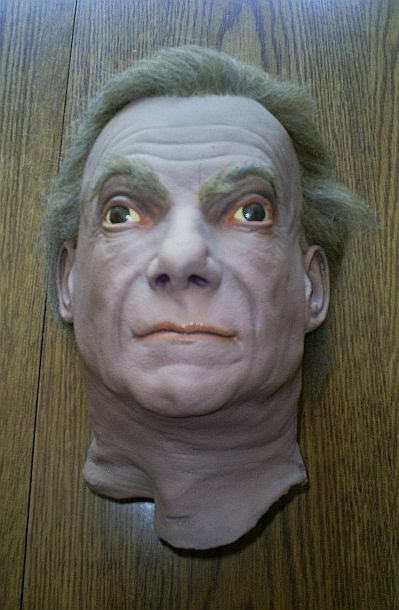 Jonathan Harris mask, as the story goes. This was a full head mask made from a mold of Jonathans head, life like hair and eye brows, the eyes are permanent, there is a slit down the back of head so it could be placed over an actors head. This slit is duct taped from the inside now, which should be easy to remove, made of a rubber like material.